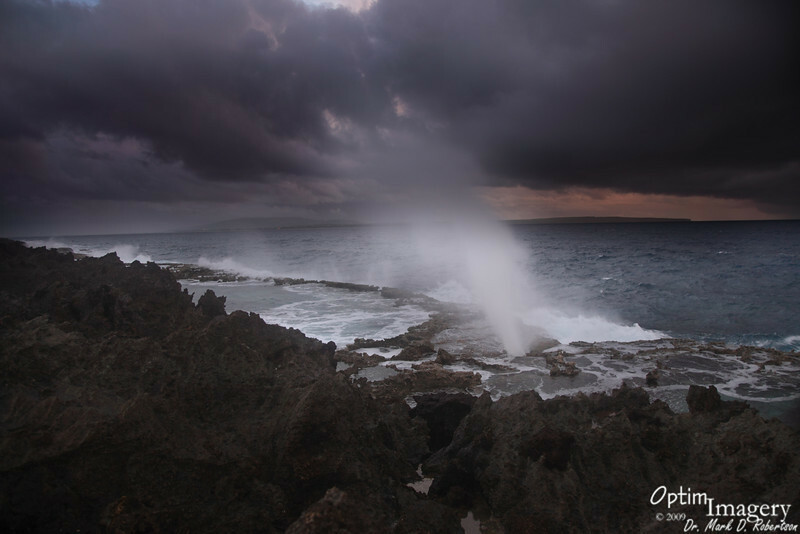 It's just called "The Blow Hole," but it's probably the most consistent and one of the best spouting horns I have ever seen. Any time I fly to Tinian to see patients, I can ALWAYS see (from the plane) this thing blowing. Seems like level of the tide does not matter, and like there is always enough wave action here for it to blow. Anyway, I headed up here for sunrise after my first night on island.